It is crazy that I am now 1 year post graduate school. And that in the past year I have become a "teacher". I put that word into quotes because some days I still feel like I am playing pretend. However, teaching really does feel like my calling, & after a week of straight rest (thank you Nashville ice storm), I am ready to get back into the trenches & not only teach Science to my squirrelly batch of 7th graders, but to also teach them about love, compassion, & joy. How great is that wrap! 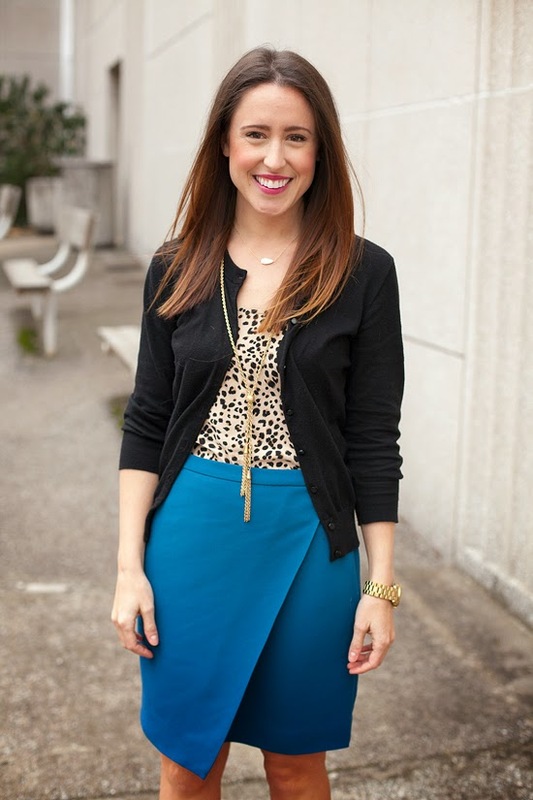 I love that it is a fun twist to the pencil skirt! Very pretty outfit! Love your skirt and booties! I love the quote you shared- so powerful. And the outfit is perfection-obsessed with that skirt!! We're both wearing same shape skirts on our blog today, ha! You are seriously the most stylish teacher! Congratulations on your year of success, may you have many more! Hey girlfriend! I hope you are well! I bet you had a lovely little "Winter break" last week, I have several teacher friends and was pretty jealous (though I pretty much got the week off as well.) This quote is awesome! I like to remind myself something similar, sometimes I shorten it to "Wherever you go, no matter the weather, always bring your own sunshine." So powerful to know that no matter the circumstance, you are truly in charge of your own happiness. I find this to be true all the time! Well, you look great! I always enjoy seeing your teaching outfits! That skirt is divine Jess! What a super cute look! 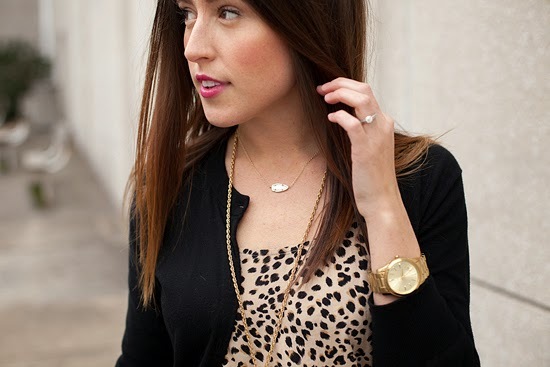 I absolutely ADORE this look! LOVE the first part of that quote, and it's so, so true. Thanks for sharing that gem. Fingers crossed for no more snow storms! I'm so glad you are happy with your teaching job! I have some friends who went in to teaching recently and totally regret it. Maybe it's worse in Indiana. And on a more positive note, your teacher outfits are so great! This is such a cute work outfit!! love it! This is another gorgeous outfit!! I love the unique cut of the skirt. 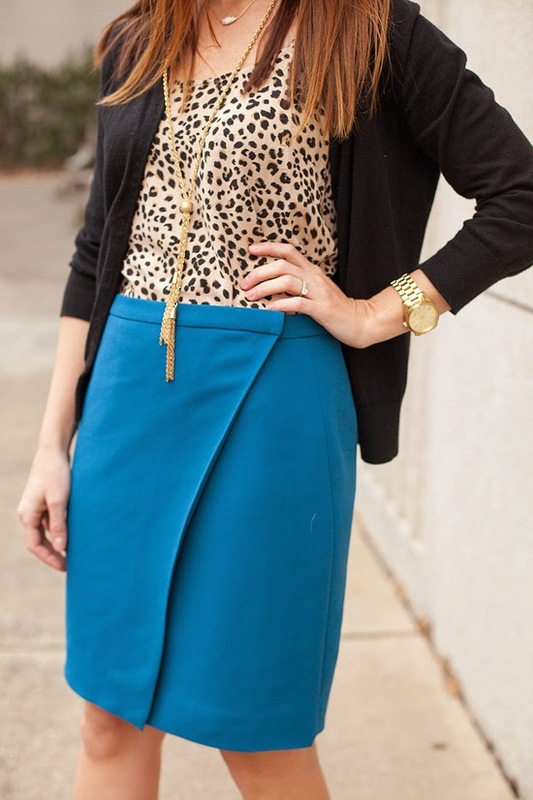 This skirt is just darling! Love this outfit. 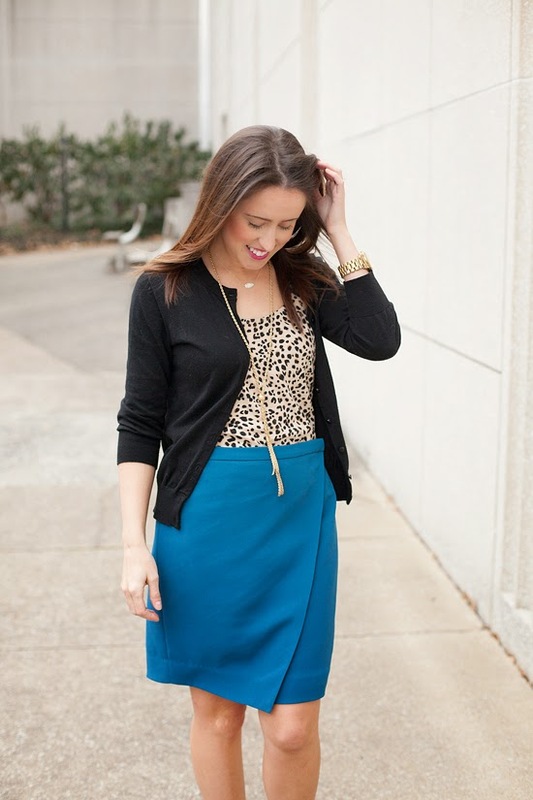 The blue wrap skirt is so cute, and I love that you paired it with the leopard shirt. The camel booties are awesome too! You are one stylish teacher!! They're lucky to have you as their role model. That quote is so on point-- it applies to my work as a therapist, too.